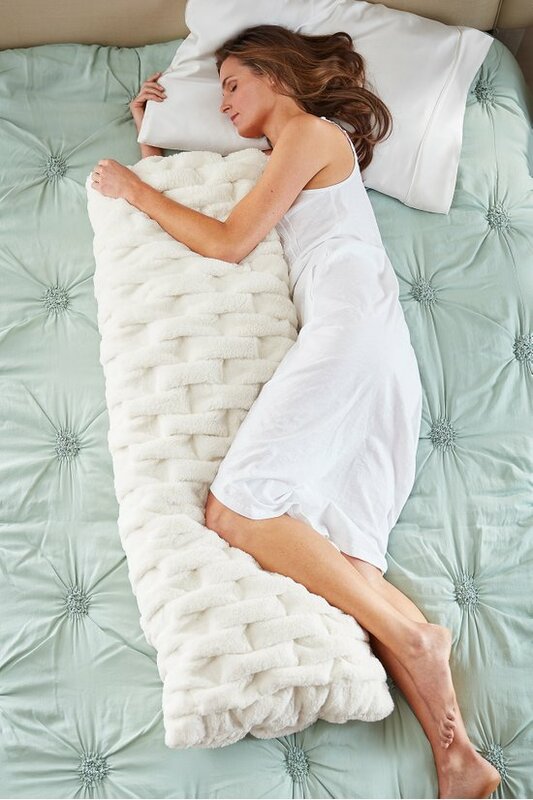 This ber-luxurious body pillow - covered front and back with sumptuous faux fur - is a decadent addition to the bed. Hand-smocked for unbelievable texture. Poly. Machine wash cold, with similar colors, Gentle cycle, Only non-chlorinebleach when needed, Tumble dry low, Do not iron, May be dry cleaned.